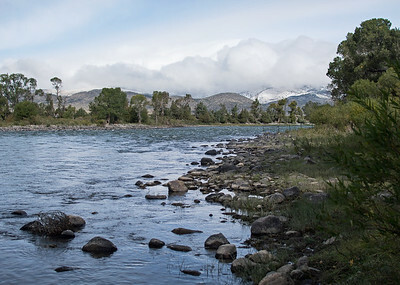 It stretches 150 miles across the Montana-Wyoming border and along the eastern side of Yellowstone National Park. 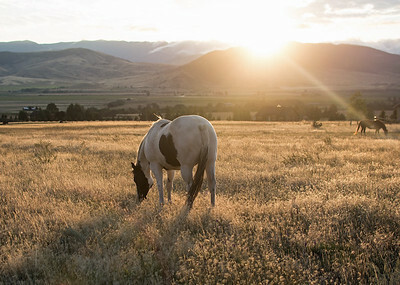 This scene is just south of Livingston, Montana. 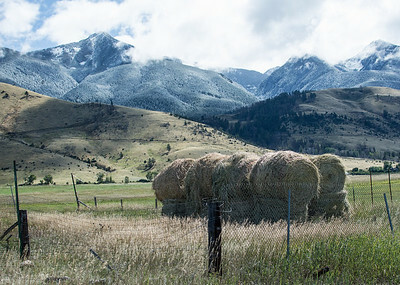 Seen here just south of Livingston, Montana. 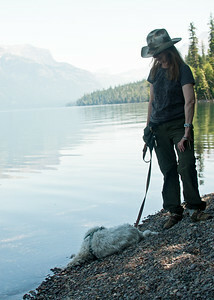 Roxy Hart takes a break at a favorite campground in the foothills of Montana's Absaroka Range near Yellowstone National Park. 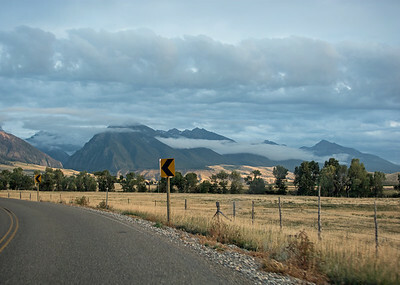 Or maybe those are low clouds in the Absaroka Range south of Livingston, Montana. 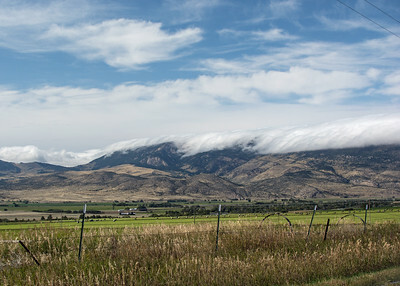 Along a road connecting Dillon and Wisdom. 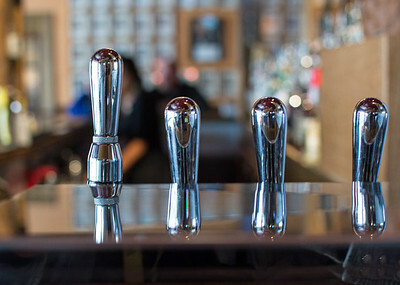 The taps at a saloon in Livingston, Montana. 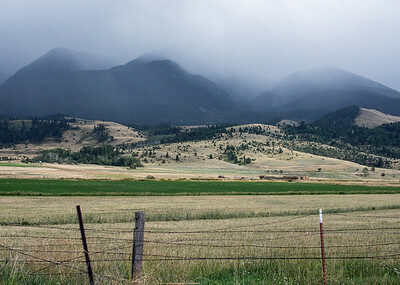 In the Absaroka Range of southwest Montana, just north of Yellowstone National Park. 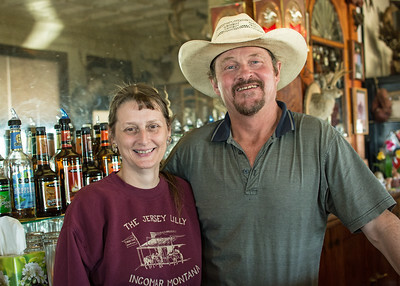 Boots Kope and June Nygren met at the historic Montana saloon and soon became a couple. In 2010 they took over the Jersey Lilly, committed to preserving it. The Jersey Lilly occupies a former bank in the town of Ingomar. 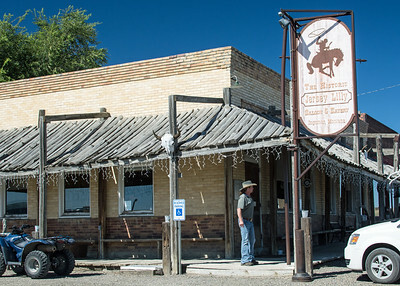 The saloon dates back to the 1930s and features a cherry wood bar. 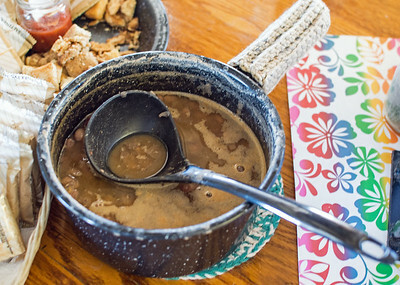 Bean soup is one of the stars from the menu at the historic Jersey Lilly saloon in Ingomar, Montana. 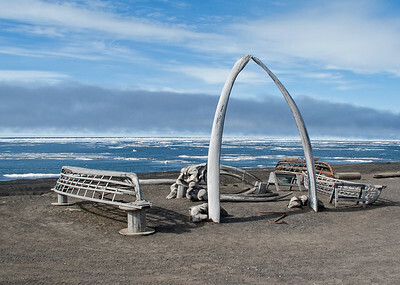 The funishings for this one in Barrow, Alaska., are bones of whales. 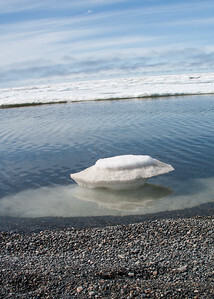 The water is the Arctic Ocean. This one in Barrow, Alaska. 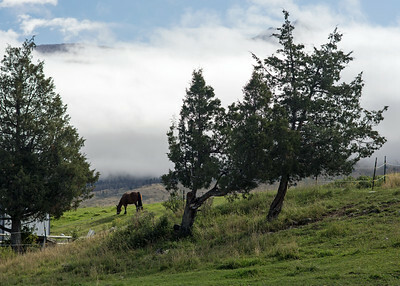 It is the northern-most settlement in North America. Sculpted by waves and wind on the shore of the Arctic Ocean in Barrow, Alaska. 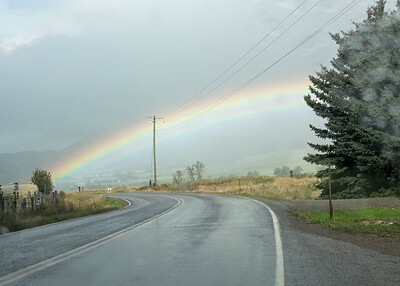 This was in the summer of 2007, a season when the sun does not dip below the horizon. 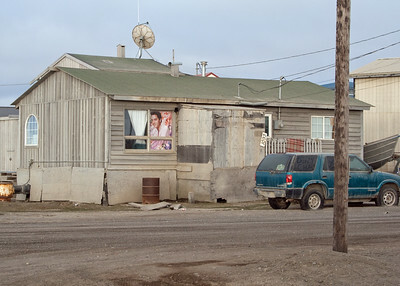 Yep, The King is part of the scenery in Barrow, Alaska -- the northernmost settlement in North America. 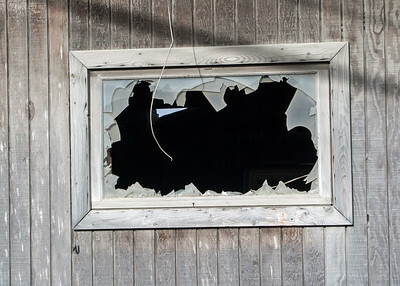 He was spotted in this house a short walk from the Arctic Ocean in 2007. Denali, formerly known as Mt. 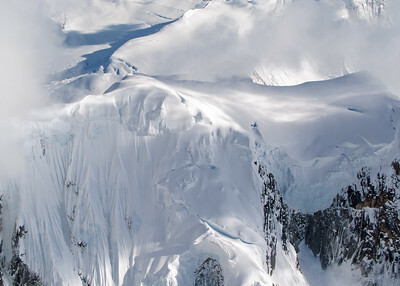 McKinley, is the highest peak in North America. The tippy top is 20,320 feet above sea level in the Alaska Range of central Alaska. 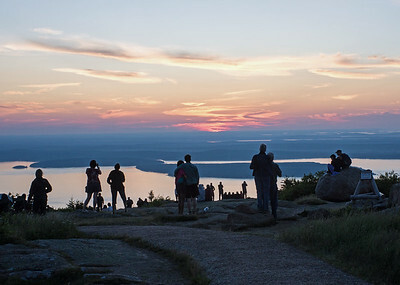 The first spot that the rising sun touches in the USA from early October to early March is the top Cadillac Mountain in Acadia National Park. And that is where you will find dozens of early-risers who've driven or hiked up to the 1,532-foot summit on Maine's Mount Desert Island. It is the highest point along the North Atlantic coast. 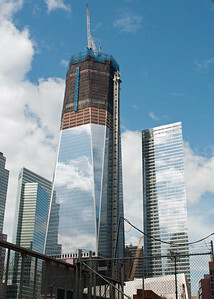 The Freedom Tower wound up rising 1,776 feet over Ground Zero in Lower Manhattan when it was completed in 2013. 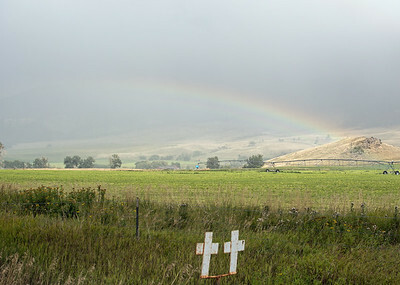 It is seen here on September 11, 2011 -- the 10th anniversary of the 9/11 terrorist attacks that destroyed the twin towers of the World Trade Center. 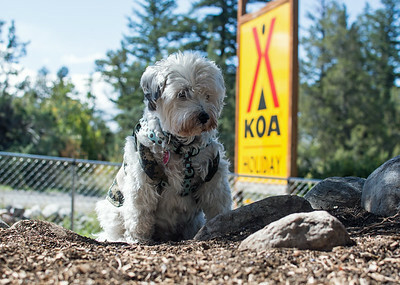 Construction began in 2006. 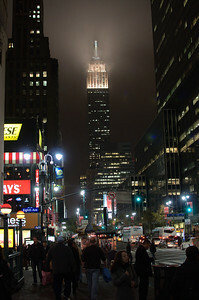 On a misty fall night in 2009. The New York Cit span has a number of other names, but this is the one made famous by Simon & Garfunkel in their 1966 hit song. 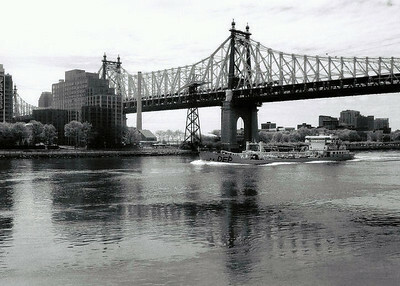 It spans the East River between Manhattan and Queens. In the middle, seen here, is Roosevelt Island. This was shot on film along an esplanade in Manhattan. 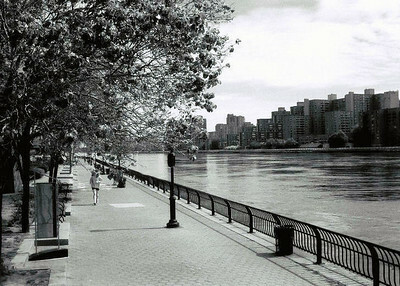 Across the water is Roosevelt Island. 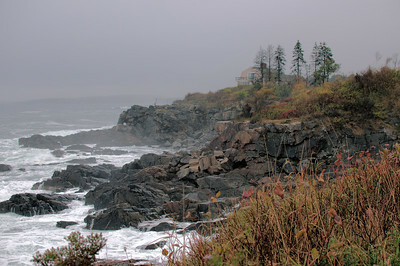 On a misty day in Maine. 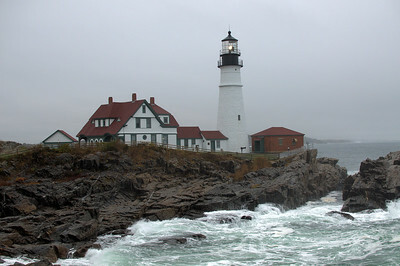 It has been a beacon at Cape Elizabeth in Maine since 1791. The original tower measured 72' from base to lantern deck and was lit with 16 whale oil lamps. The current keeper's quarters dates to 1891 and is the third such building on the site. It housed two families until the lighthouse was automated in 1989 and is now a museum. 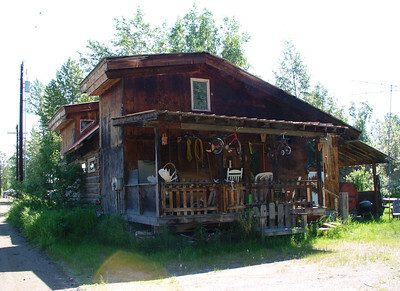 This one in Talkeetna, a favored jumping-off point for those climbing North America's tallest peak, Mt. McKinley, or Denali as Alaskans call it. 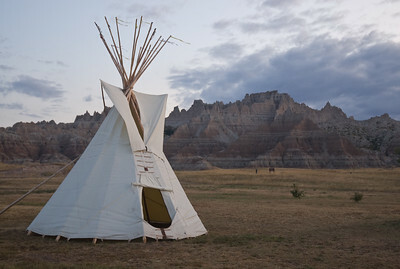 Teepee at Badlands National Park, South Dakota.